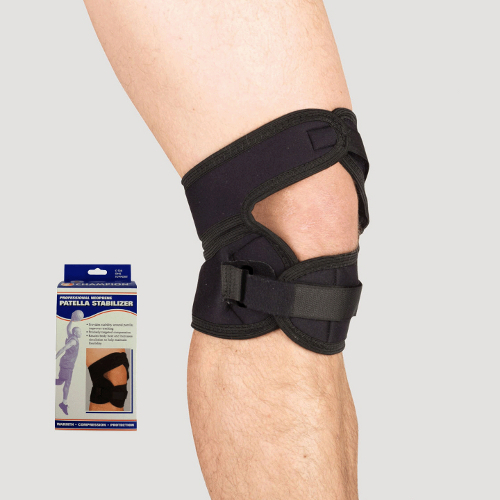 The SAI / Champion Neoprene Patellar Stabilizer retains natural body heat to help soothe aching muscles and maintain flexibility, provide firm, uniform compression to support weakened joints, and offer moderate protection from bumps and bruises. The SAI / Champion Neoprene Patellar Stabilizer retains natural body heat to help soothe aching muscles and maintain flexibility, provide firm, uniform compression to support weakened joints, and offer moderate protection from bumps and bruises. Effective support to keep you comfortably active.